THE LEVANT – The most terrifying and brutal branch of Al Qaeda, the Al Qaeda in the Arabian Peninsula (AQAP), vows its solidarity with the ISIS against the American and Iranian conspiracy and their agents of the apostate Gulf rulers. The solidarity was announced after U.S. launched air strikes in Iraq against the Islamic group. 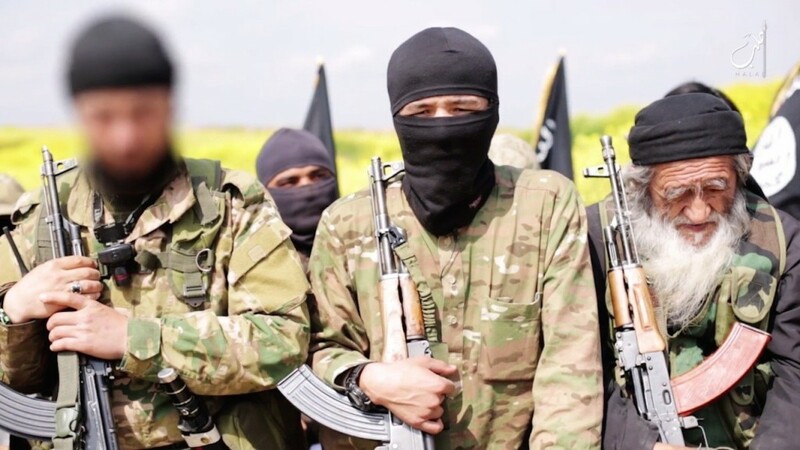 In a statement published on its Al-Manbar web site, dated Augt 14, AQAP said that it is now united with its Muslim brothers inIraq, pertaining to the ISIS, against the crusade. It said that the perils of the ISIS, their blood and injuries, are theirs also. “We will surely support them. We assert to the Islamic Nation [all Muslims worldwide] that we stand by the side of our Muslim brothers in Iraq against the American and Iranian conspiracy and their agents of the apostate Gulf rulers,” the statement reads. Prior to US journalist James Foley’s brutal execution, AQAP had also published a statement through a Twitter account calling for all Islamist groups to go after America. “We call on all Islamist groups … to go after America as part of its plan for jihad, militarily, economically, or through the media. And we call on every Muslim, especially anyone who can enter America, to champion his brothers by going to war against America with everything he can,” the post reads. AQAP had also advised for the ISIS to be alert against U.S. spies, be wary in making calls through cell phones and browsing the internet. AQAP warned its “brothers” against gathering in large numbers or moving in large convoys. Like a big brother to its sibling, AQAP advised the ISIS to be vigilant anytime that a loud humming of warplanes is heard; to dig sophisticated trenches to protect themselves from the direct impact of shelling. Meanwhile, another terrorist group, the Jemaah Islamiyah, had also sworn it allegiance with the ISIS. This group was responsible to the Bali bombings in 2002 that killed 88 Australians. On Thursday, Prime Minister Tony Abbott said that with Jemaah Islamiyah and the ISIS now working together, Australia and Indonesia will also work together against the groups’ terrorism. Mr Abbott highlighted that the allegiance between the rebel groups posed an increased risk of terrorist activity in Australia. The government is now discussing proposal of new counter terrorism laws against any Islamic groups. With the apparent information that Foley’s executioner was speaking with British accent, Mr Abbott underlined the possibility of home-grown terrorists that can conduct terrorist attacks inside the country. Speaking in a press conference in Melbourne on Thursday, he said that terrorism do not just happen elsewhere, it could happen in countries like Australia if the country relaxes its vigilance against terrorism and potential terrorism on Australian shores. A previous intelligence report given to Foreign Minister Julie Bishop revealed that 60 Australians are now fighting with the ISIS and other extremists group operating in the Middle East. Furthermore, there are approximately 100 more Australians who are involved with groups supporting Islamic militants.